Are you struggling to get fit, lose a few pounds, tone-up, boost your energy, attend fitness classes or are group fitness classes just not for you? 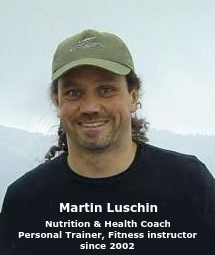 Here is the solution – Home Fitness, Health and Nutrition Coaching and Consultations since 2002. You can avail of One-to-One and Two-to-One (Partner or Buddy) Personal Training options. Benefit from 16+ years (2002-2018) experience in the fitness, health and well-being industry in Ireland, South Dublin and from 20 years (1990-2010) experience as competitive long-distance runner and triathlete. Read more about Martin’s professional background. *Online Coaching and *Online Consultations are now available, via phone, skype or similar services. What are the best exercises for weight loss and toning? How will I find time to exercise? What kind of exercises can I do at home with minimal or no equipment? Are there any exercises that I can do when travelling? What are the best Core, Tummy or Abdominal Exercises? My back is occasionally stiff or a bit sore – what stretches and strengthening exercises do you recommend? What kind of stretches and flexibility work do you suggest? If I could do five exercises to get fit which would you show me (think Pareto Law / Rule – 80/20 rule)? Is there a basic Pilates and Core Strength Program that you recommend? I bought two Kettlebells recently and don’t know how do use them – can you show me a few moves and Kettlebell exercises? Book your FREE 20min phone or skype consultation or your *discounted* TRIAL training or class here.